(JTA) — Ukraine’s chief rabbi said he will give up his own state honor to protest the country’s honoring of a wartime nationalist leader. 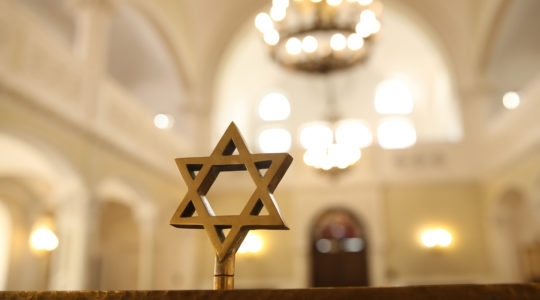 Rabbi Moshe Reuven Asman has asked attorneys to determine how he can return his Order of Merit honor in protest of President Viktor Yuschenko’s granting of the Hero of Ukraine award to Stepan Bandera, the leader of the Organization of Ukrainian Nationalists, on Jan. 22, Interfax news agency reported. The Ukrainian nationalist forces led by Bandera fought against both the Nazis and the Soviet army in World War II, and led an armed battle against Soviet rule in Ukraine into the 1950s. Bandera and and his nationalists were responsible for killing thousands of Jews and Poles. Yuschenko is running last in the race for Ukrainian president, with elections scheduled for Feb. 7. His honor for Bandera was seen as a way to force the other candidates to take a stand on the nationalist leader. Bandera was assassinated by a KGB agent in Munich in 1959.